5 Extraordinary Things to do in Annecy, the Venice of Alps! 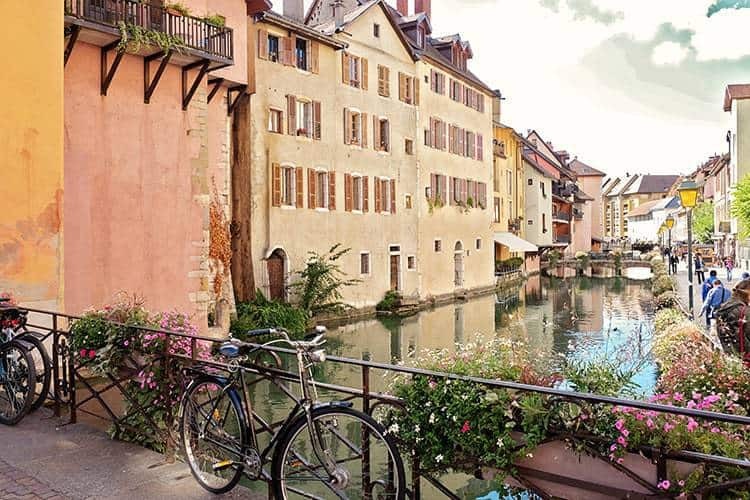 Annecy, Venice of the Alps, is one of the most beautiful French towns in Eastern France. Annecy is located at the North end of Lake Annecy, which is the third largest lake in all of France. This town is located on the edge of a beautiful lake with a view over the mountains. Stay tuned for more blog posts from our amazing road trip through France. Heaps of crazy beautiful destinations, stunning photos and fun-filled videos are coming soon! Below you will find a list of what you can do whilst in Annecy. Palais de I Isle has to be the most photographed and the most popular attraction in Annecy. Needless to say, you need to check it out from every angle and see it both in the morning and at night, when the Palais is illuminated by colourful lights from the surrounding restaurants. This little Palais is located in the beating heart of Annecy. Here, masses of tourists congregate for much sought after selfies, delicious gelato and yummy French/Italian cuisine. Although the area can get a bit crowded, both locals and tourists alike, welcome you with friendly smiles. Old Town Annecy has plenty of alleys to explore. The winding cobble stone pathways will take you on a journey through flower lined canals and perhaps to the famous Chateau d Annecy. 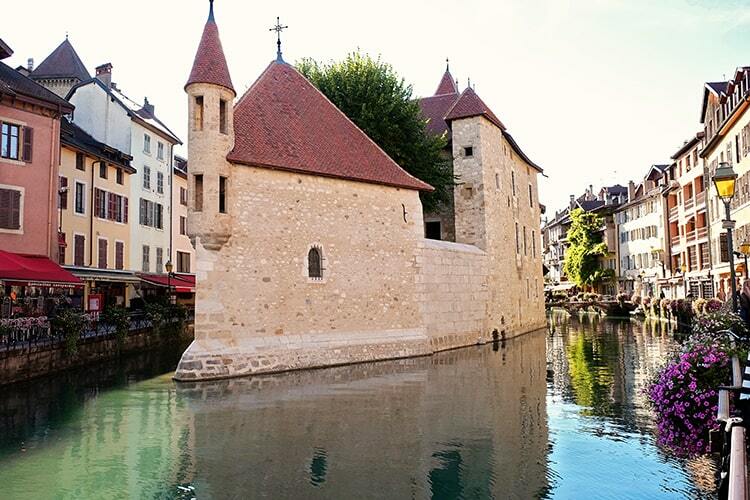 This 12th Century Castle stands tall and proud, high above the centre of the Annecy Old Town. 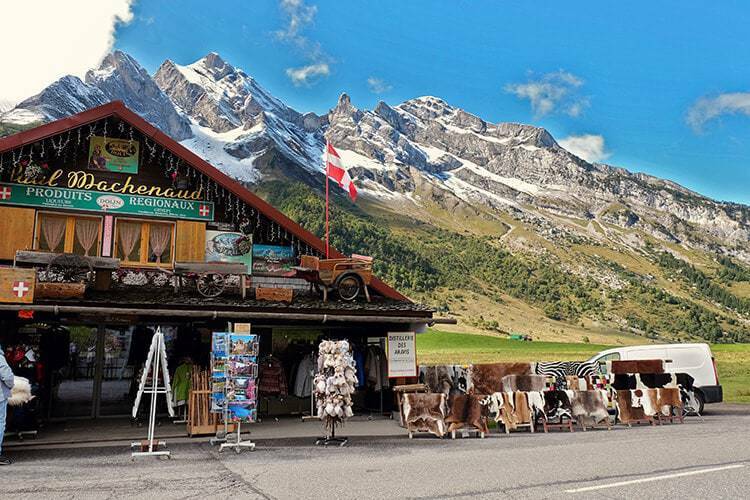 These days it serves as a museum featuring popular Alpine art, sculptures and a great collection of vernacular furniture dating back to 15th century. 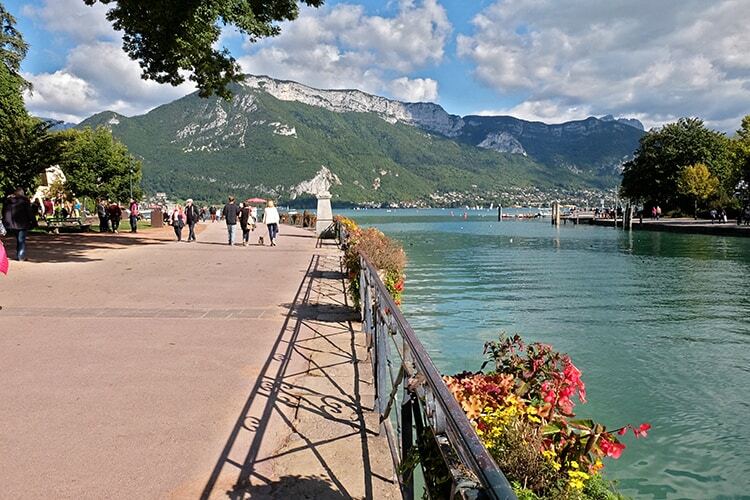 As you step away from the Annecy Old Town and you stroll along the main canal, the pathway will take you towards the Lac d Annecy (Lake Annecy). This is the third largest lake in France, so bring your camera, because the view is quite impressive! There are plenty of activities to choose from. You can hire a motor boat, or you can choose to get on a pedal boat and take your time relaxing whilst sunbathing in the French sunshine. Alternatively, you can choose to spend some time in the beautiful Jardins de l’Europe (Gardens of Europe). Where else you can relax at the 18th century gardens with a view over a beautiful lake and the spectacular backdrop of the mountain range. It is stunning! These days, the gardens feature a much smaller number of original plants; thus allowing for a clearer view of the lake. Win-win situation here. 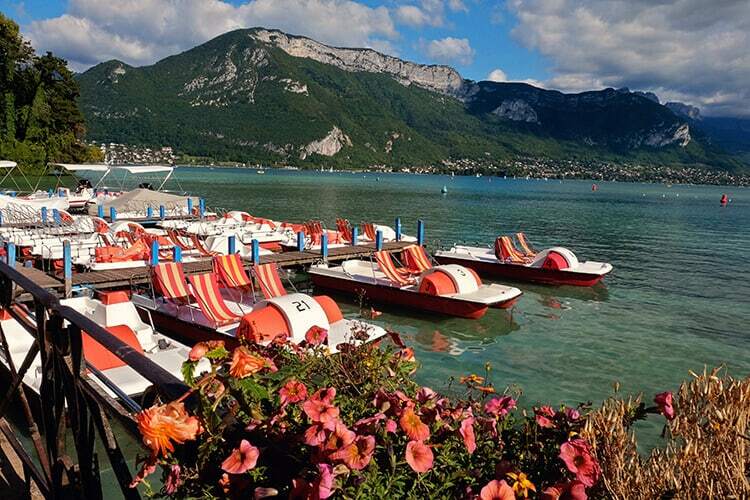 If you are travelling to Annecy with kids, then this will be a great place for you to stretch your legs too. The park has an extensive grassy area for kids to loose some energy and there is also a kids play park with a bunch of slides, swings and other funky toys to play with. One of the most popular activities for visitors and locals alike is to venture out on a journey around the Lake Annecy. Yes, I did tell you twice already that this is the third largest lake in France, but don’t worry, it is only around 50km drive, ride or a hike. We travelled around the lake by car whilst Avie was sleeping in her baby seat. Best way to travel, in peace! 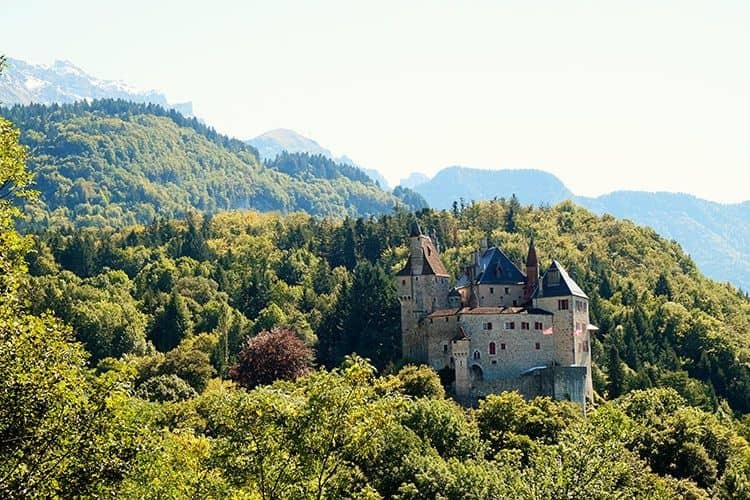 There are a few pretty stops along the way, however I would recommend that you check out the view from the road of the Chateau de Menthon-Saint-Bernard located mid-way down the East side of the lake. Make sure to drive slower as there is a small window of opportunity to snap some photos from the higher road. Gorges du Fier was my most favourite thing to do around Annecy! This place is awesome! Located only a short 10km drive out of Annecy, Gorges du Fier is ready to blow your mind away with its shear beauty. This spectacular gorge is a great example of just how strong mother nature really is. 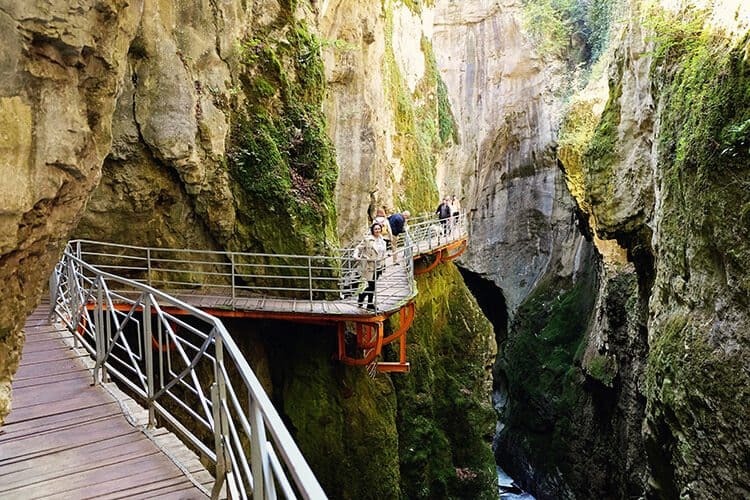 Gorges du Fier is a canyon carved in a rock by the flowing waters of the river. These days it is a very popular attraction, due to its cliff-hugging foot bridge, which is suspended 25 metres above the river bed. Now, that is a site to see! So cool and really pretty! If you have a car and you feel like spending an amazing day out, then you must put Col des Aravis on your list of things to do in Annecy. This is a place that you cannot miss out on! Col des Aravis is classified as a second category climb and has been crossed about 39 times by the Tour de France. But this is not the Tour de France, that you should go here for, it is for the sights! This is the land of magic, “Hills are alive with the sound of music” kind of place. Tiny little town, with few shops, chapel and a restaurant, but the scenery is spectacular! Beautiful mountains surround you and stretch out as far as the eye can see. Cows relaxing in the paddocks, all with bells on their necks. The most picturesque road that I have ever driven on, and now, my absolute favourite one in the world! We loved Annecy! 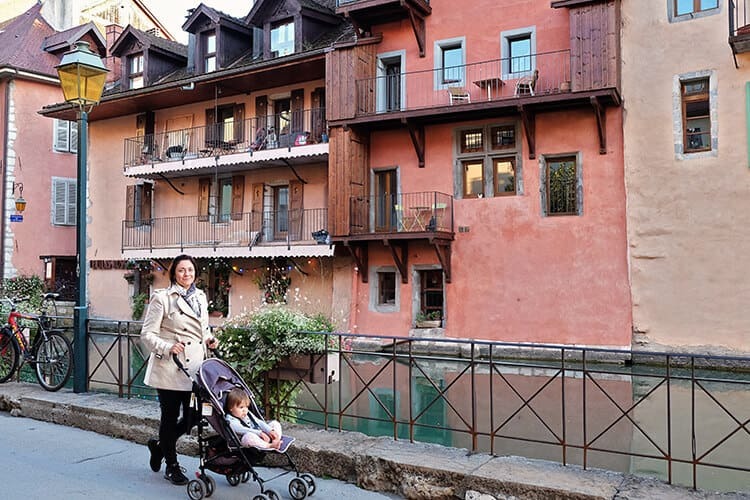 The vibrancy of colours of the Old Town Annecy, the yummy gelato and strolling around the cobble stone pathways and outstanding excursions to the surrounding areas. It is a truly worth while part of France to visit! 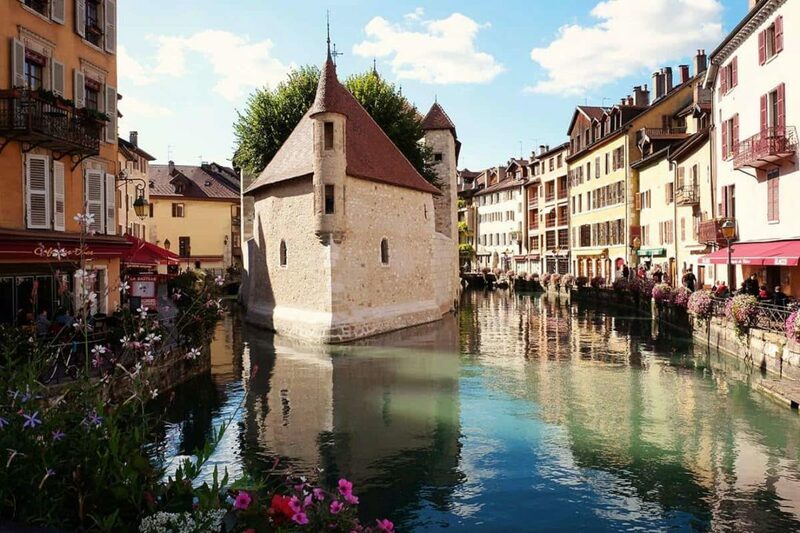 Which of the things to do in Annecy grabbed your attention the most? 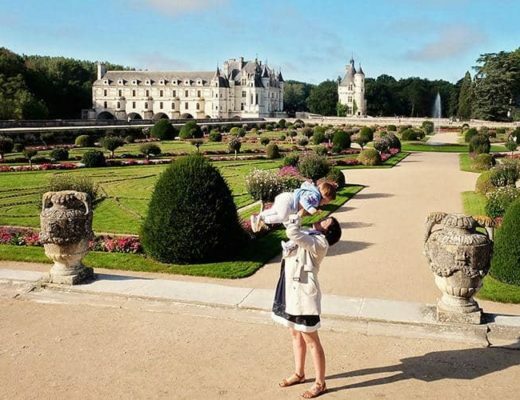 Ultimate Travel Guide to Chateau de Chenonceau in France! 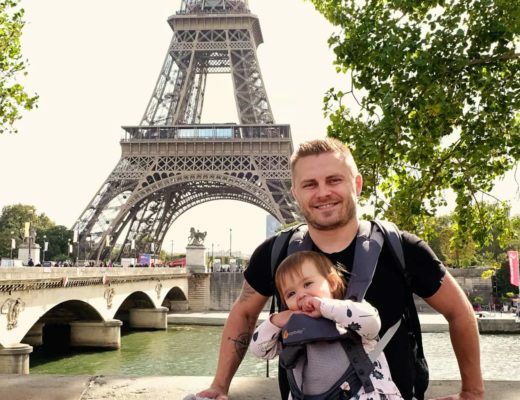 Paris with a Baby or Toddler: Everything you Should Know! 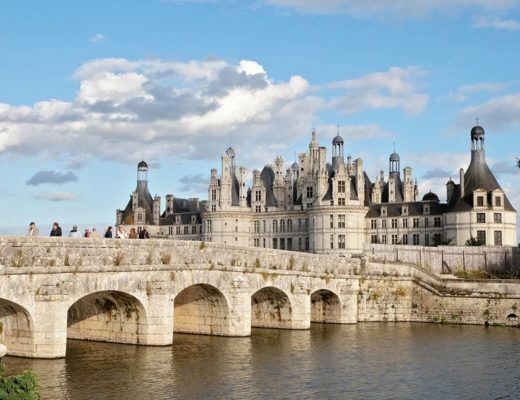 17 of the Best Castles in France to Visit!